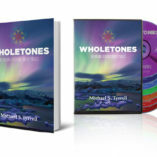 Wholetones has literally been “hitting the airwaves” with healing musical tones hidden deep in ancient frequencies. Since renowned musician, author, and speaker Michael S. Tyrrell began sharing these stunning discoveries, and the beautiful songs of the Healing Frequency Music Project with the world, thousands of people all over the world have watched anxiety disappear, enjoyed deeper, more restorative sleep, and found pain from chronic conditions soothed. 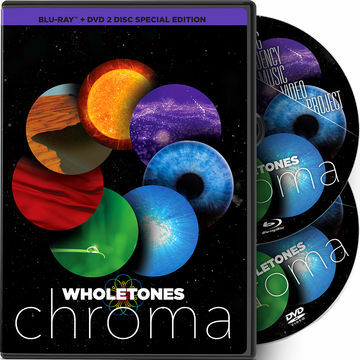 Now you can experience Wholetones for yourself, with the ever-growing collection of CD’s, digital audio, DVD’s, BluRay disks, and the bookWholetones: The Sound of Healing. Disclaimer: No information on this website has been evaluated by the FDA. The information presented is not intended to diagnose, treat, cure, or prevent any disease. Consult your physician before undertaking the suggestions in this presentation. Results not typical. Actual results will vary depending upon the individual. Testimonials are from real persons who are users of this product.